A midget Coronado "Jewel" in nice undamaged condition. A very beautiful red and gold dial with a concentric circle "Bullseye" front. Coronado was a brand name for radios sold in Gamble Department stores. 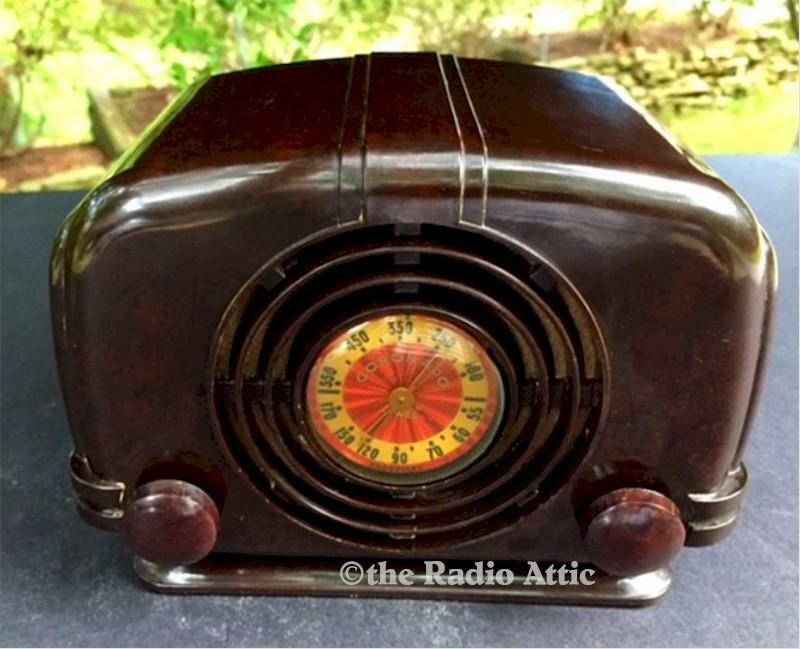 The radio was a Belmont design, and is also found with Belmont or Western Royal names on it. The case is perfect, no damage of any kind. The chassis is playing well and picking up all my local AM stations clearly with its antenna wire attached. The original metal back is on the set. I think this is just about as good an example of this model as you will find. FedEx shipping anywhere in the continental USA will run $22, packed safely, insured and tracked. Very small midget sized at 8"W x 5-1/2"H x 4-1/2"D.